Embroidery Pattern for October. 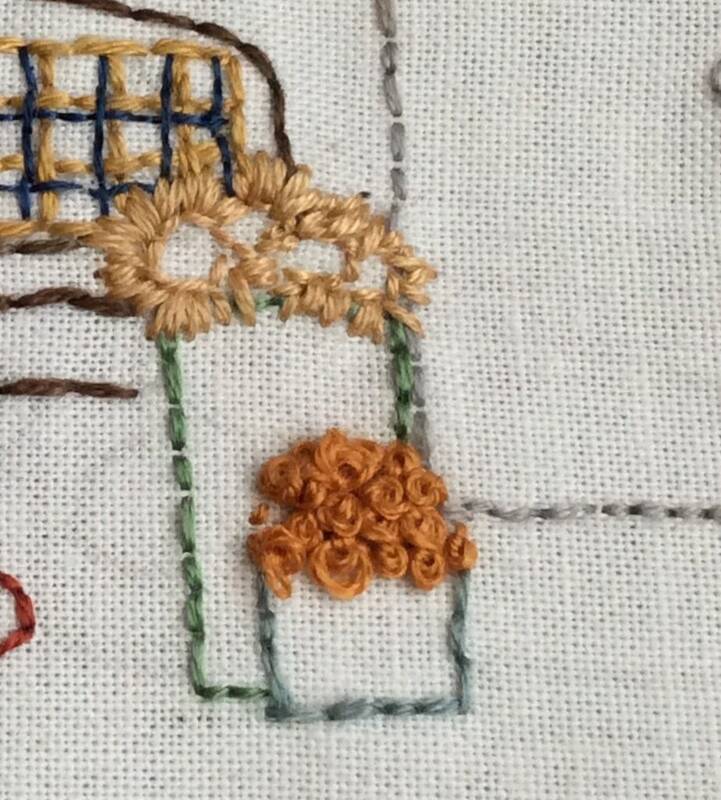 This stitchery is part of my Monthly Camper Embroidery Series. 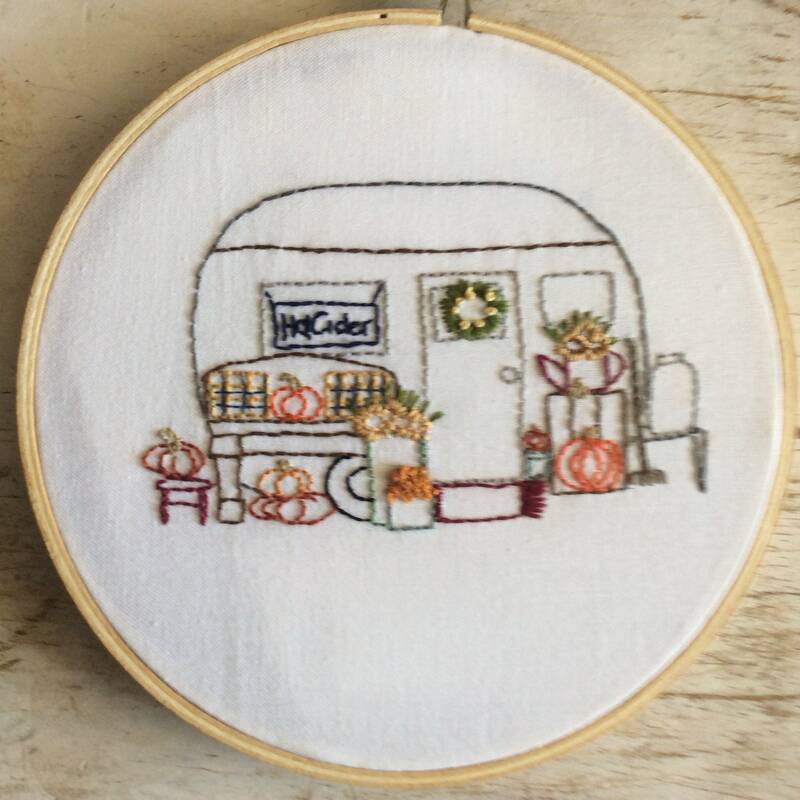 Included are photos and directions for embroidering the October Camper trailer and directions for finishing it into Hoop Art. The October design reflects Fall beginning. Deep rich colors are added in the colors of the pumpkins and flowers. There is a wooden bench with plaid pillows. Tall metal planters filled with sunflowers and mum flowers. Also included is a Hot Cider sign hanging from window. Cooler evenings are wonderful when sitting on a bench with a warm cup of cider. Fun and easy to stitch! Everything in this series is meant to be simple. Simple to stitch, simple to complete. The design is the focus. There is a basic Backstitch that will be used that outlines the design using different shades of embroidery floss. DMC Embroidery floss is the floss I chose to use, it has a wide range of colors and is easily located in most fabric, craft and sewing stores. It will be a simple wall or lap quilt. The embroidered designs are 5" across when embroidered. The finished quilt will be decorative in nature. I am finishing up the stitcheries and then making the quilt. It will be less than 30" x 40" when completed. I will edit this listing when the quilt is completed with all the designs and I have the exact measurements. 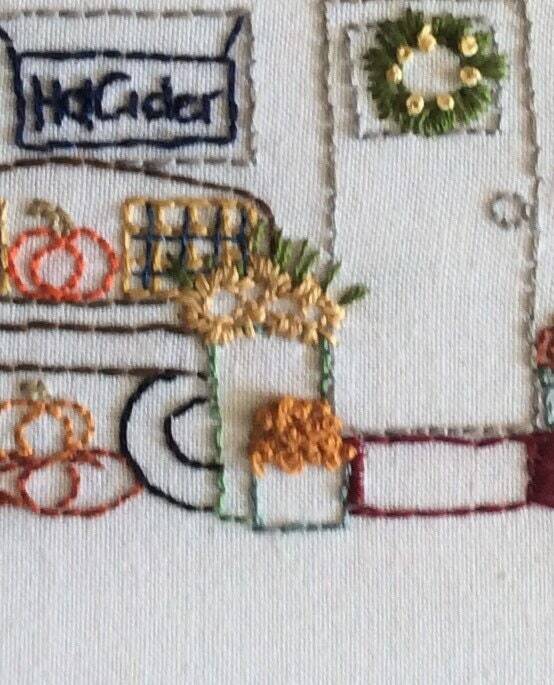 This embroidery series is very well thought out and brings back delightful memories to me. 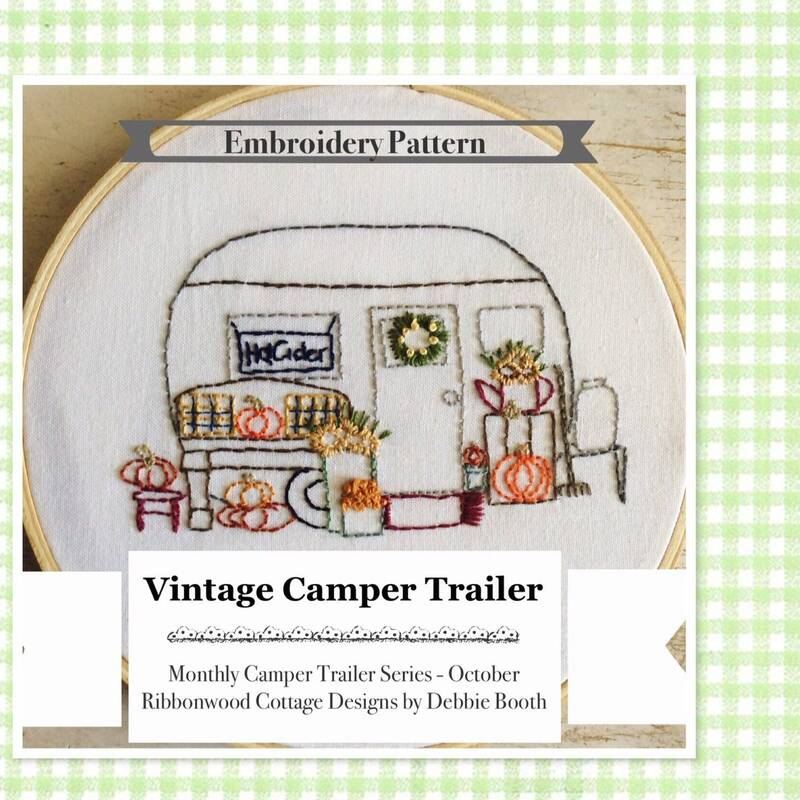 Each month’s pattern will reflect the basic Vintage trailer/camper and the outdoor decor and accessories that reflect that month. I hope this will bring enjoyment as it is stitched. Each month will have basic embroidery stitches, nothing too difficult and the design will take center stage! At the end of this Embroidery series, directions will be provided in the October and November Pattern for making the 12 Month Camper quilt using all 12 Embroidered Campers. 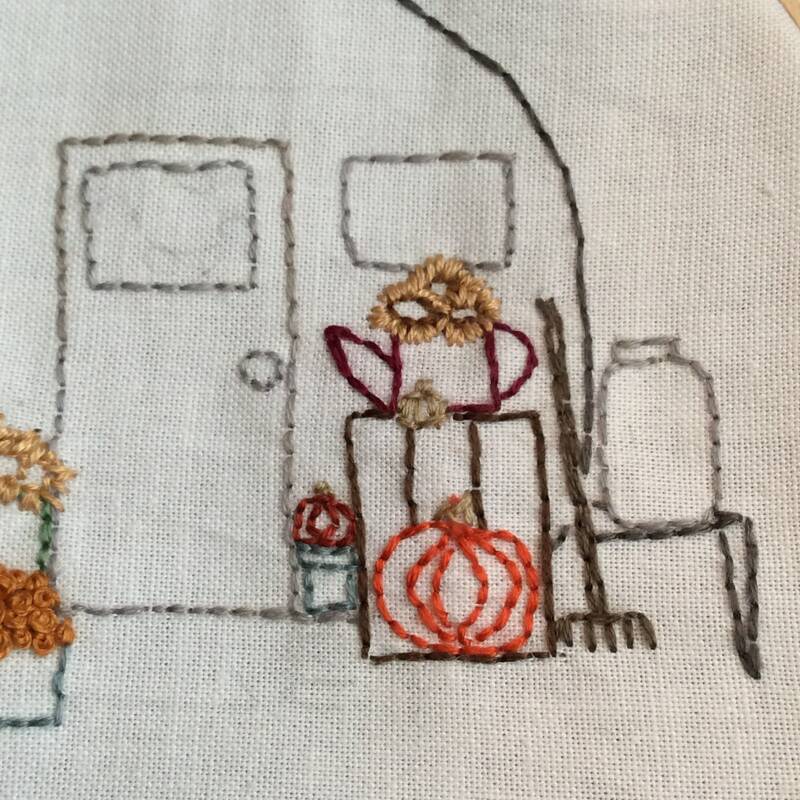 The December Camper Embroidery is already complete and is provided early on so that the quilt can be completed before the busy Holidays arrive. Once the transaction is completed this design will be available for download.